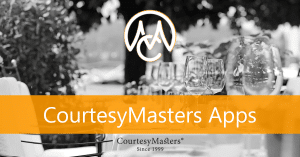 CourtesyMasters did provide apps for mobile use. Since modern technology enables us to provide mobile web pages, we decided to change the protocol. Currently, we are studying brand new apps.